The Milani Cosmetics Naturally Chic collection was a small release from Milani that hit the shelves last month...or so they say. I never saw it in any of the retail locations that sell Milani so I ordered directly from their website several weeks ago and finally receive my order after 4 calls to their customer service department (if you're going to order them, go here to avoid any issues). I've used other Milani's Shadow Eyez ($6.99) shades from their permanent line before. They are definitely the drug store dupe for Urban Decay's 24/7 Glide-on Shadow Pencils ($20) with a much more limited shade range. 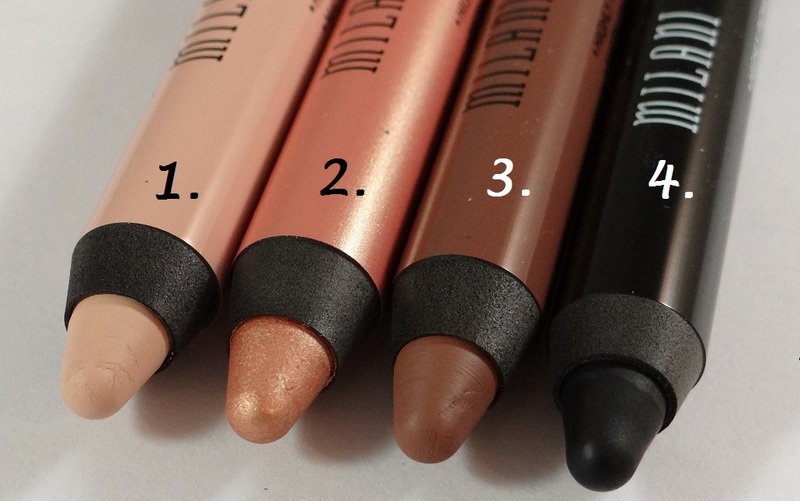 I have several shades from UD and from Milani, and I really think that their performances are identical. When I saw that Milani had release a few more shades in mostly cream/matte finishes, I was on a mission to grab a few up. A colored base give any shadows that you apply over it something to stick too and it can intensifies the colors. I'm most excited about the black, which I plan in using with iridescent blue, purple and green shadows. A dark base will create depth and interest versus applying these shadows to bare skin which tend to cause iridescent shadows to come off as sheer and washed-out (i.e. boring). 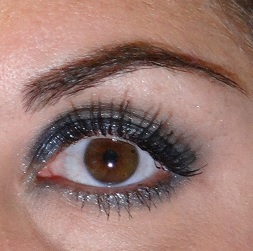 The metallic pigment that I used below over the black base is actually a light sea foam green shade. Without the base the color just really falls flat. Though these little babies took 3 weeks to arrive on my doorstep, I'm glad that they did. There are exactly what I was expecting. I'm looking forward to breaking out some of my eyeshadow duds to see if they are truly diamond in the rough in need of a dark base (Black Ink or Cafe Au Lait). The lighter shades (almond cream and Golden Bronze) are going to work under my more neutral shadows but I already have similar items in my collection that can do the same job (MAC's Painterly Paint Pot, Maybelline Color Tattoo Bold Gold or Gold Rush). If you're considering purchasing any of these shades, make your move now before they're gone.